Nezumi Otoko is a rodent-like youkai-human halfbreed. He has been alive for three hundred years, and in that time has almost never taken a bath, rendering him filthy, foul-smelling, and covered in welts and sores. 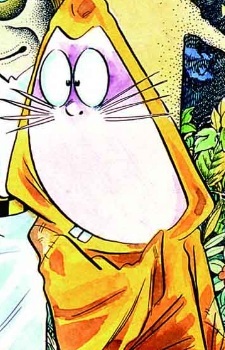 While he is usually Kitaro's friend, Nezumi Otoko will waste no time cooking up vile schemes or betraying his companions if he thinks there's money to be had or a powerful enemy to side with. He claims to be a college graduate of the University of the Bizarre.